Drums For Development is building InTerraTree! Valhalla is up to something big. Click here to find out more. Drums For Development inspires creative collaboration and empowers sustainable community development by connecting people through drumming. 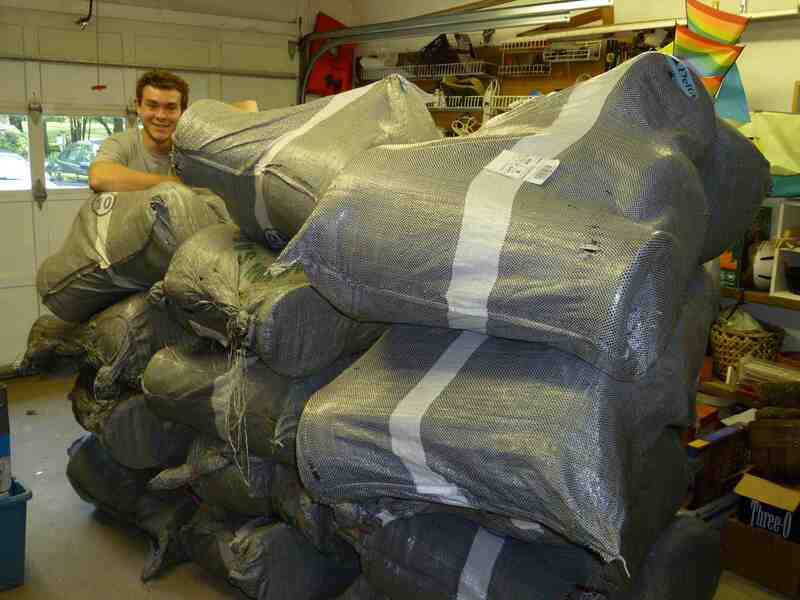 We have officially hit the $3,000 mark, meaning we can purchase the initial land in Togo! 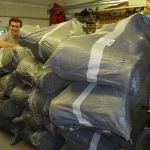 All remaining donations go directly towards growing food and digitally connecting the community with the world! 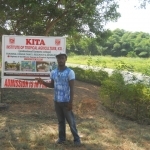 InTerraTree is an ecovillage project in Togo, West Africa cooperatively designed with locals to meet their needs while fostering creative collaboration between cultures! InTerraTree was originally inspired by the model of our Togolese partner organization, Centre Des Hommes and, over the last three years, has developed into the model we share today. It will be locally-owned and operated by Centre Des Hommes, ensuring that the needs of the local community are the priority. 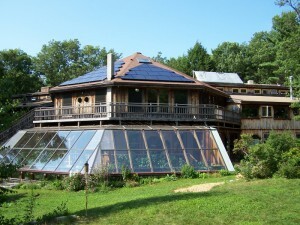 1) An ecovillage, where the members of Centre Des Hommes can live together in a consciously designed community, continuing to maintain local cultural identity while integrating innovative technologies to make their lives more sustainable, as well as teaching and sharing their practices with the larger local community. 2) An ecolodge, where visitors stay in a culturally immersive environment and are able to experience and learn from the vibrancy of local culture while lending a helping hand and sharing their own knowledge and stories. Through cross-cultural exchange of ideas and values, creative collaboration, and sustainability education, we will promote community self-reliance and celebrate local culture to help maintain local values even under mounting pressures of globalization. What is the root of the name ‘InTerraTree’? the name InTerraTree was derived from the French word “inter-etre,” or interbeing. Interbeing is the true state of the world, one of interconnectedness and interdependence of all phenomena. InTerraTree will foster a connected state of being that empowers and encourages all individuals to contribute their unique gifts towards the benefit of our world. 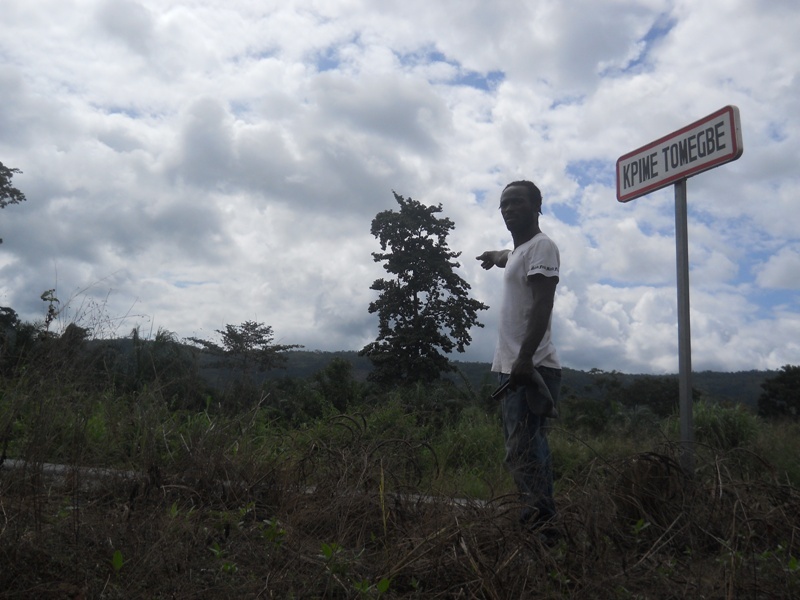 Land Purchase – We will buy our initial hectare (2.2 acres) of land in the village of Kpime Tomegbe, just 6 miles north of Kpalime, Togo. Planting Edibles – Sego & Centre Des Hommes will be planting the food they need to sustain themselves and their families. Any surplus will be shared with the village and the larger community. Modern Communications – We will be wiring the site for internet and phone access so that the residents and visitors of InTerraTree can begin to share their story with the world. I will be seeing Sego for the first time since 2010 at the African Global Ecovillage Network Summit in Kenya. Thanks to my elected position on the International Board of the Global Ecovillage Network I have secured funding to cover travel expenses for both of us! Sego has already negotiated with local elders for a beautiful piece of land (with room to expand) just 6 miles outside of Kpalime, Togo. As soon as the land purchase is final, Sego and Centre Des Hommes will implement a permaculture design and begin planting food. Any excess food produced will be shared with the community. We will bring a group of skilled builders to InTerraTree to teach locals about sustainable and natural building and collaboratively construct the ecolodge & education center. Along with African sustainability educators, we will teach a French-English Ecovillage Design Education course at InTerraTree. This course will be half international and half local participants, creating a unique opportunity for cross-cultural exchange and collaboration. Following our Ecovillage Design Education Course, we will travel from InTerraTree to Dakar to participate in this global event. To express our gratitude to each and every one of you, we will have a page on our website displaying the names of all contributors to this campaign. 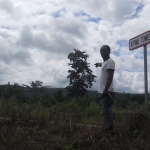 Along with having your name on our InTerraTree Contributors Webpage, you will receive a personalized ‘Thank You’ note from Sego, the founder of Centre Des Hommes (our local partner organization in Togo) and the man who will be managing InTerraTree. We are really excited about this reward and you should be too! Members of Centre Des Hommes recorded some music at home in Togo and now a tribe of modern electronic producers (including Icaro, Numatik, Biomogrant, Futexture, bioLuMigen, eelko, Soulacybin, and Erothyme) have come together to create an exclusive Benefit Compilation Album inspired by these recordings. This is cross-cultural collaboration at its finest, empowering musicians in Africa and at home to inspire one another by doing what they love most, MAKING MUSIC :) Along with this exclusive album, you will receive a ‘Thank You’ note from Sego and your name will appear on the InTerraTree Contributors Webpage! A one-of-a-kind handstyled t-shirt made in Togo by artists of Centre Des Hommes using a range of techniques from wax dyeing to sponge-stamping to brush-painting. 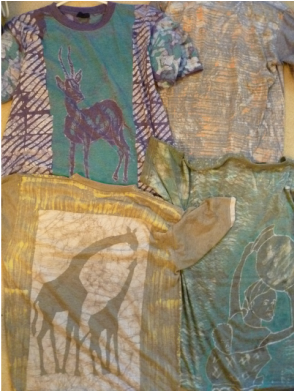 T-shirts depict various African animals and icons and have been pre-washed and shrunk for convenience. For $175 (and up), rather than having just your name displayed on the InTerraTree Contributors Webpage, you will a custom profile complete with your picture, a bio (up to 500 words), and a link to your website. We’ll also send you one of all prior rewards; a one-of-a-kind t-shirt or a 30 minute video chat with Nick Joyce, a one-of-a-kind batik painting, the InTerraTree Compilation Album, and a ‘Thank You’ Note from Sego. You will also have a custom profile on the InTerraTree Contributors Webpage complete with your picture, a bio (up to 500 words), and a link to your website. 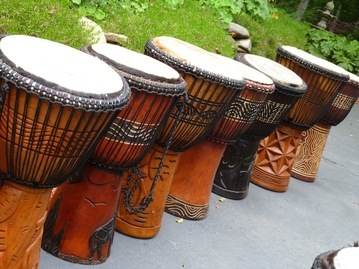 For $350 you will receive a one-of-a-kind handcarved djembe drum made in Togo by artists of Centre Des Hommes. *Due to the logistics of shipping, this reward is only available to donors within the continental United States. As a strong enthusiast of this idea, your contribution of $500 will earn you a Weekend Retreat for 2 at Sirius Community in Western, MA (meals included). During your time here you will have the opportunity to connect with Nick for a one-hour drum lesson and experience many of the guiding principles of InTerraTree in real life. You will also have a custom profile on the InTerraTree Contributors Webpage complete with your picture, a bio (up to 500 words), and a link to your website. Your contribution earns you the title of “Cultural Creative” and you will be awarded a Weekend Retreat for 2 at Sirius Community in Western, MA (meals included). During your time here you will have the opportunity to connect with Nick for a one-hour drum lesson and experience many of the guiding principles of InTerraTree in real life in this beautiful location. You will also go home with your very own a one-of-a-kind handcarved djembe drum made in Togo by the artists of Centre Des Hommes. Joining the “InTerraTree Tribe” means that you will be securing yourself a spot for our educational ecotourism trip to InTerraTree from July 1-29, 2014. We will be implementing on-the-ground solutions, teaching and learning about sustainability, and engaging in cross-cultural exchange. 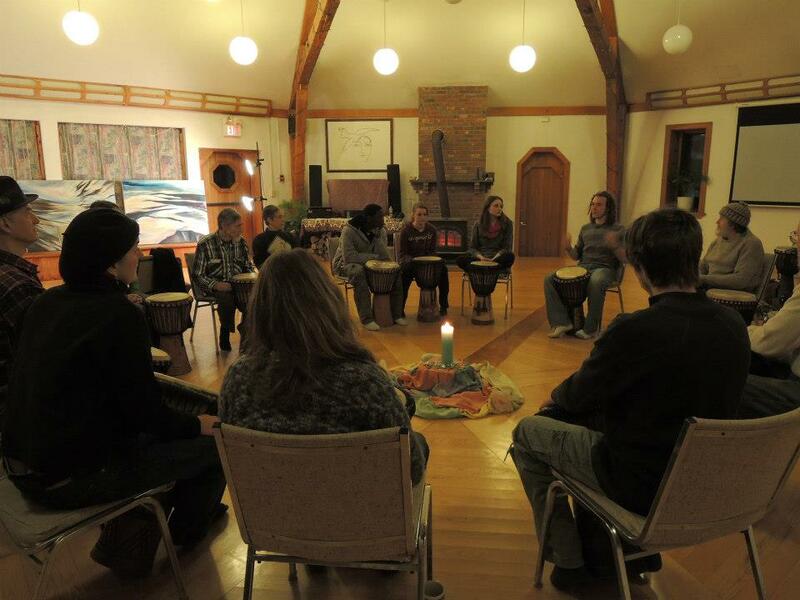 You will have opportunities to get to know Sego and the members of Centre Des Hommes, build your own djembe drum, take drumming classes, paraglide off the tallest mountain in Togo, so much more. Your $1000 will cover meals, lodging, ground transportation, and all planned cultural and touring activities. You will also have a custom profile on the InTerraTree Tribe Webpage complete with your picture, a bio (up to 500 words), and a link to your website. If you single-handedly give us everything we need to “Root the Tree,” you earn the title “Project Hero” and will receive half-off nights at the InTerraTree EcoLodge for 5 years (clock starting the first night you spend at InTerraTree) as well as all prior rewards. 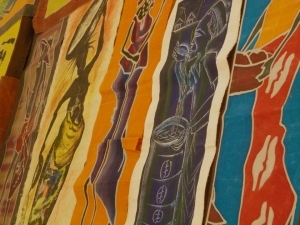 2009: Sego’s artist collective becomes a nationally recognized non-profit organization called Centre Des Hommes and they continue their sustainable development efforts. May 2010: I returned to the US and decided to finish my last two years of college in one. As my honors thesis project, I started Drums For Development, an organization to support the efforts of Sego and Centre Des Hommes. 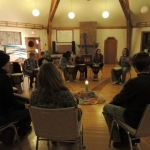 April 2011- Present: I have hosted dozens of drumming events and worked with thousands of people, developing my facilitation skills and refining my intention to social education provided by the drum circle. March 2013: I successfully launched my first fundraising campaign to send Sego to get formal training in sustainable tropical agriculture where he also earned his Permaculture Design Certificate. April 2013-Present: Sego returns home and designs his first garden to feed his family. Thank you for your interest in InTerraTree. Any donation brings us that much closer to reaching our goal and, if you share this through your network (facebook. email. twitter, etc. ), we would be infinitely grateful. If you would like further information or to contact us, please visit the Drums For Development website or Nick Joyce’s personal website, with information on all his projects. This campaign is hosted on GreenSeed, the crowdfunding platform of the Valhalla Movement. The Valhalla Movement is a growing tribe of storytellers out to proliferate ‘freedom culture’ by igniting a global passion for sustainability and collaborative action — all through compelling digital media, on-the-ground action, and alternative education. Valhalla is currently taking action at two locations, building Valhalla Montreal from the ground up and expanding outreach and education efforts at Sirius Community in Western, MA.